We are more than just your typical boutique "CRO" that caters to growing firms. Meet us and consider why you should speak with Veristat for the design and implementation of your clinical trials and regulatory submissions. Our teams really enjoy guiding virtual and growing biopharmaceutical firms through the clinical development process. 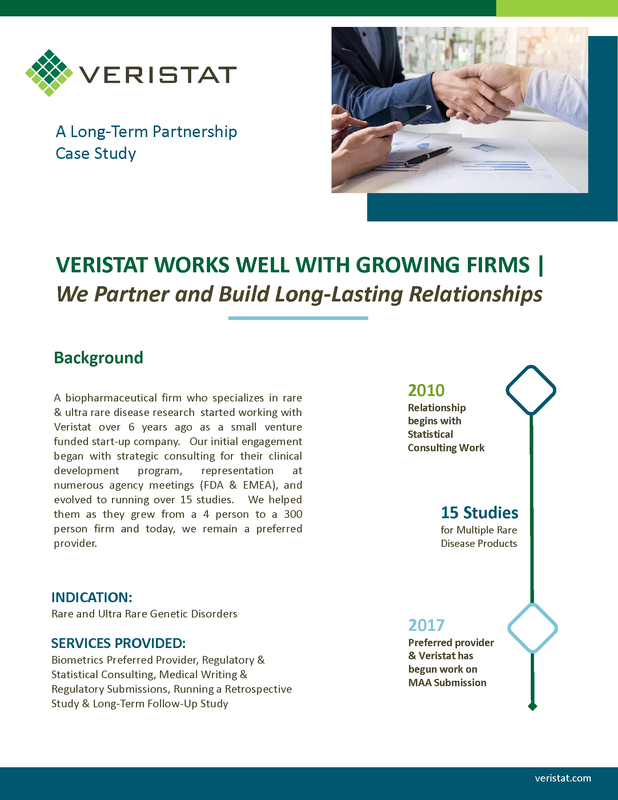 Download a quick success story of how we continue to support a growing biotech firm.